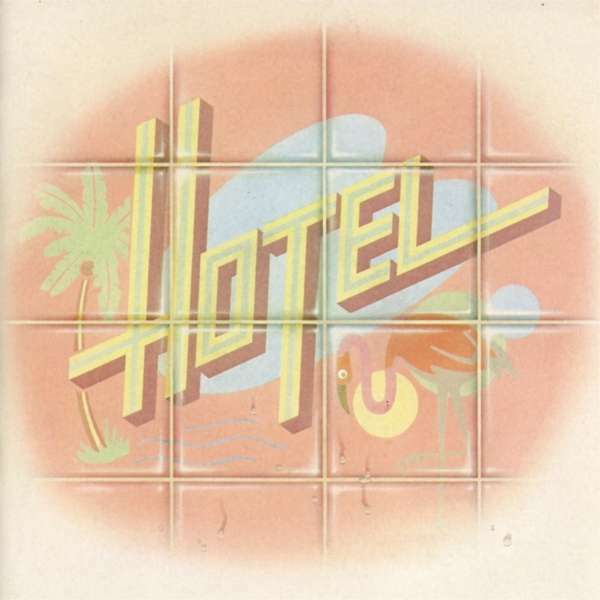 Der Artikel Hotel: Hotel (Collector's Edition) (Remastered & Reloaded) wurde in den Warenkorb gelegt. 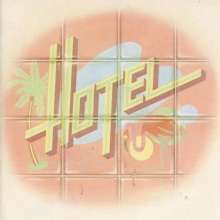 WE OFTEN RECEIVE requests for obscure and now hard to find releases, but the amount of demand for the Hotel albums has been decidedly overwhelming, surprising when considering that the act barely made a blip on the radar back in the early 1980s when they were first issued. It appears that there is something of an insatiable appetite for music from that era, especially by melodic rock acts such as this, with a penchant for melody and strong hooks. Originating from Birmingham, Alabama, Hotel evolved through a number of lineups, based around the central duo of Marc Phillips and Tommy Carlton. They were originally signed to the Mercury label in 1977 but, after releasing one solitary single, found themselves cast adrift. In a fortuitous meeting on a plane journey, the head of the Scotti Brothers records was handed a tape which led to a new record deal. 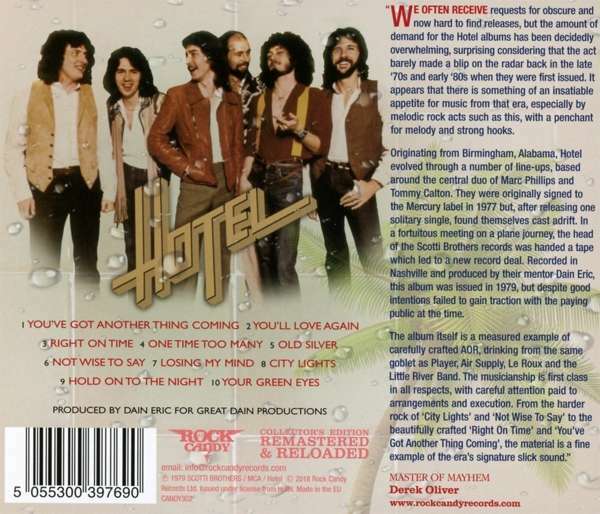 Recorded in Nashville and produced by their mentor Dain Eric, this album was issued in 1981, but despite good intentions failed to gain traction with the paying public at the time. The album itself is a measured example of carefully crafted AOR, drinking from the same goblet as Player, Air Supply, Le Roux and the Little River Band. The musicianship is first class in all respects, with careful attention paid to arrangements and execution. From the harder rock of ‘City Lights’ and ‘Not Wise To Say’ to the beautifully crafted ‘Right On Time’ and ‘You’ve Got Another Thing Coming’, the material is a fine example of the era’s signature slick sound.